The Peoples Democratic Party (PDP), this morning vehemently protested what it called selective use of Smart Card Readers (SCRs) in a significant part of Northern states, saying since it was a breach of the Independent National Electoral Commission’s guideline, the results of the presidential election held last Saturday ought to be reviewed. Raising other sundry concerns about the conduct of the elections, including the deprivation of about 5.1 million voters from participation due to cancellation of votes arising from card reader infractions and violence, the party called for the suspension of declaration of returns until its concerns are addressed. The party’s concerns were expressed by its agent, Chief Osita Chidoka, who argued that since the 5.1 million restrained votes were more than the 3.9million votes margin of win scored by President Muhammadu Buhari, it had become necessary to review the outcome of the election and consider the suspension of the declaration exercise. Replying, the INEC Chairman, Prof. Mahmood Yakubu, said the commission was unable to accede to the request of the PDP because its assertions were not substantive, explaining that since declaration exercise was part of a process, the electoral body would examine the party’s observations and take it into consideration when reviewing the electoral process. 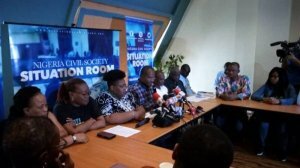 A coalition of Nigeria civil society group, The Situation Room, yesterday said it has observed serious discrepancies in some of the results of the presidential election so far announced by the Independent National Electoral Commission (INEC). The observer groups said it was compelled to state its position because some of the numbers/votes announced so far by the State Returning Officers at the INEC National Collation Centre, Abuja, in the on-going collation process, are raising concerns. In a statement issued by the Executive Director, Policy & Legal Advocacy Centre and Convener, Nigeria Civil Society Situation Room, Mr. Clement Nwankwo, the body said discrepancies affected a total of 513,214 in 27 states including Nasarawa, Kogi, Adamawa, Edo and the Federal Capital Territory (FCT). It said considering the fact that there was simultaneous accreditation and voting, a careful look at some of the figures of accredited voters and the total number of votes cast showed discrepancies. It said: “The Nigeria Civil Society Situation Room (Situation Room) has been observing the national collation and announcement of the presidential election results for the election conducted on 23 February 2019. Situation Room also said that there is lack of clarity on the rationale for the cancellation of huge numbers of votes by INEC. According to the group, “There is a lack of clarity in the rationale for cancellation of polls. We have recorded 1,084,358 cancelled votes across 1,175 polling units in 18 states. The pattern of this cancellation requires some close interrogation to show fairness and objectivity. “The reasons provided for the cancelled votes include over voting, card reader malfunction and violence. Situation Room demands that INEC provide clarification on rationale and compliance with its Guidelines regarding cancellation of polls. Accusation that these cancellations may have been contrived to suppress votes need to be taken seriously and addressed before the close of tabulation. On claims of duress by INEC officials, the Situation Room said that it observed that INEC officials and ad-hoc staff serving in varying capacities have alleged harassment and intimidation in the course of the collation process and undue pressure in the announcement of results. 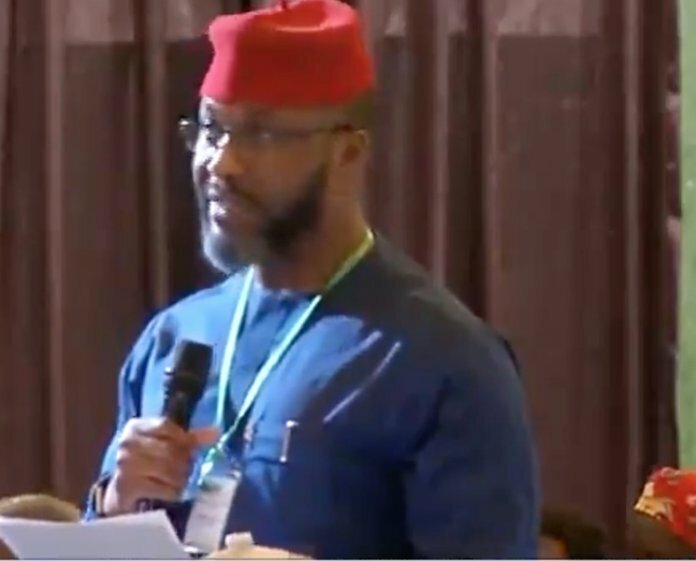 It gave example of the Returning Officer for Imo West Senatorial District, Prof. Francis Ibeawuchi, who disclosed that threats were made to his life, to ensure the return of the incumbent Governor of Imo State, Chief Rochas Okorocha, as the winner of the senatorial election in the district. Also, the Situation Room cited the incident in Ikwerre Local Government of Rivers State, where the Electoral Officer, Ms. Mary Efeture Imawuya, alleged that army personnel invaded the RAC Centre and held her hostage, in a bid to seize the election results. Similarly it drew attention to what happened in Emohua Local Government of Rivers State, where the Electoral Officer, Mr. Kenneth Etah, claimed that military personnel invaded the local INEC office and commenced shooting, thereby creating an environment too violent for the collation process to be carried out. The group added: “Situation Room notes that INEC has failed to publicly acknowledge the occurrence of these incidents in the past few days and owe it to its staff and Nigerians, to express concern over these threats and acts of violence and take necessary steps to ensure the security of INEC personnel. 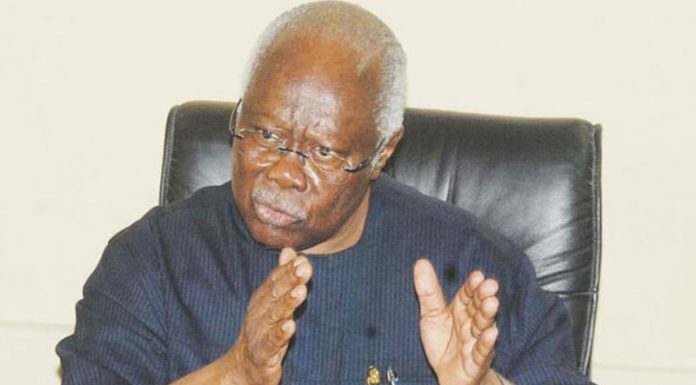 While stating its level of involvement in last Saturday’s presidential election, the Situation Room said it deployed observers in all 8,809 electoral wards across the country and received reports of observers being restricted from several ward collation centres. For instance, the group said that its observers were denied access to 10 Ward Collation Centres in Abia State, 7 in Lagos State and 5 in Akwa Ibom and Ogun States respectively. “Other reports received indicate that there was no collation in some wards; rather, polling unit results were directly collated at Local Government level, raising questions about violation of the collation process,” it said. While urging Nigerians to be peaceful and law abiding, as the results are being collated, Situation Room also asked political parties and candidates, who are aggrieved with the electoral process, to ensure that they utilise legally recognised channels to seek redress.